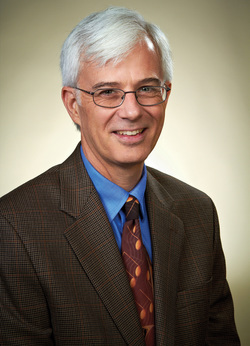 John T. Carroll is the Harriet Robertson Fitts Memorial Professor of New Testament at Union Presbyterian Seminary in Richmond, Virginia, where he has taught since 1992. He received his BA from the University of Tulsa and a Diploma in Theology from Oxford University. He completed both his MDiv and PhD in New Testament at Princeton Theological Seminary. A highly respected authority on Jesus and the Gospels, Carroll is the author or editor of numerous works, including Luke: A Commentary and The Word in This World. Both volumes are part of the esteemed New Testament Library series, for which Carroll serves on the editorial advisory board. He is also the coeditor of Interpretation: A Journal of Bible and Theology and the cochair of the Gospel of Luke section for the Society of Biblical Literature. He also teaches adult education classes in local congregations. Carroll is married and has three children. A semi-professional trombonist, he also recently retired from a fifteen-year amateur baseball career.